An interactive video and discussion program that will help Spanish-speaking parents learn how to encourage cooperation, courage, and responsibility in their children. For parents of children ages 5 to 12. DVD video is dubbed; all print materials are in Spanish. Introducing comprehensive classes in Spanish for parents of children in the glorious middle years. 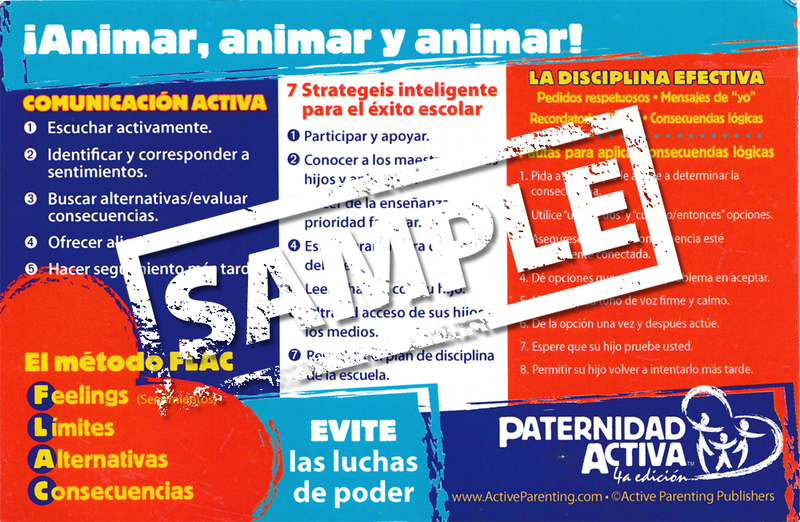 With Paternidad Activa, it’s now easier than ever to offer valuable skills that will bring back the joy of parenting! What’s so great about Paternidad Activa? Video now available embedded in PowerPoint… or DVDs — your choice! As with all our programs, you will have evidence-based tools you need to offer parenting classes in which parents are able to learn and laugh in a supportive environment.